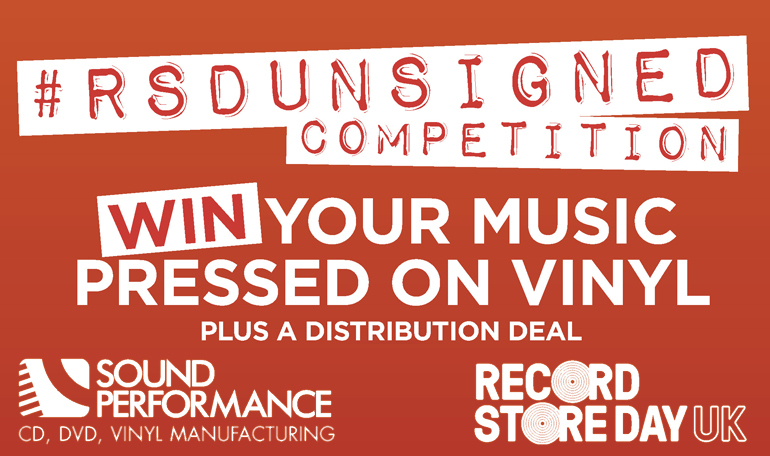 We’re pleased to be involved with the official Record Store Day Unsigned competition this year which invites artists/bands to submit a video showcasing their work for a chance to get their music pressed on to vinyl along with a 1 year distribution deal through Proper. The competition closes on the 19th March so there’s still plenty of time to get your entries in and the winner will be announced by the Record Store Day team on the 18th April just ahead of Record Store Day on the 21st. You can find out more about how to enter by clicking below, good luck! This entry was posted in News and tagged record store day, rsd unsigned, sound performance.